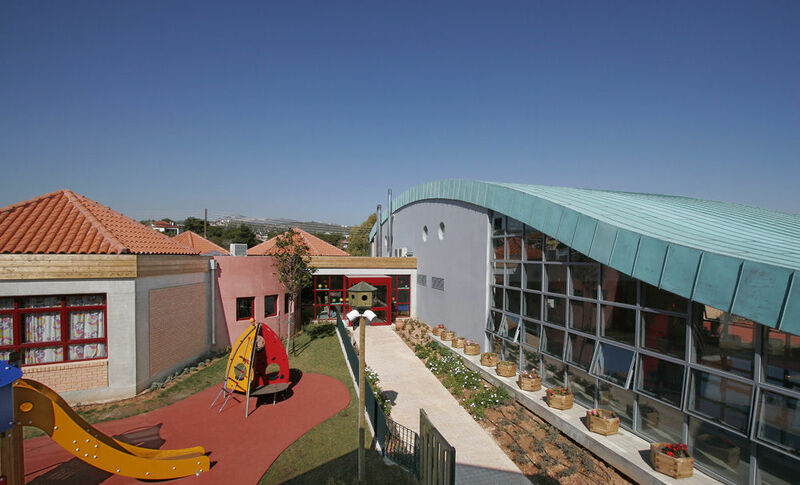 The building has been design to include all the necessary activities of pre-school education. 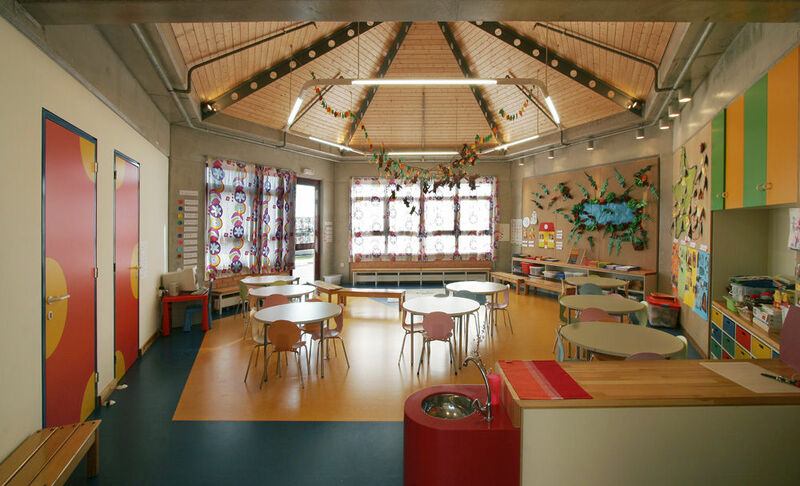 The aim was to form a shell friendly to the nursery school children, and as much as possible connect to the outdoors environment. 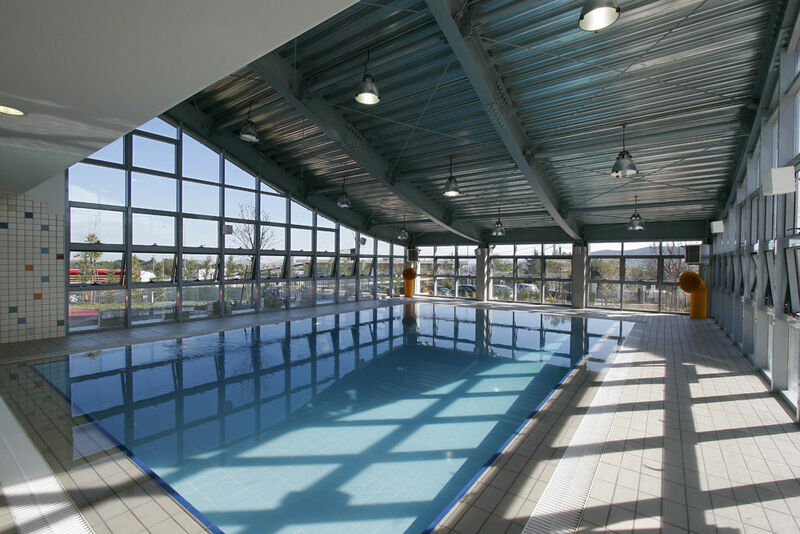 The building includes eight all-day halls with annexed sanitary rooms, swimming pool, multiple purpose hall, cafeteria and offices. The building is mainly developed on the ground floor, with the upper floor serving exclusively ancillary uses.Storage and electro/mechanical installations are arranged in the basement. 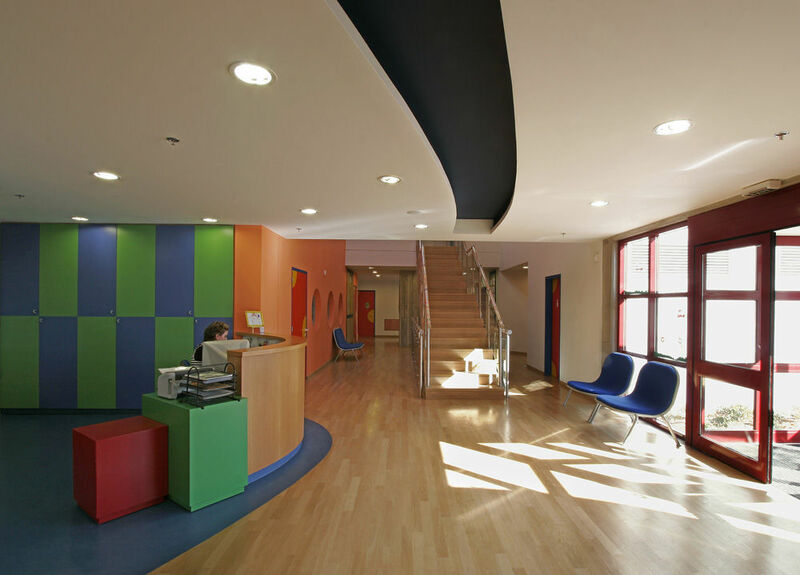 An important feature of the building architecture is the two-storey reception building, in the form of a hexagon. All teaching classrooms have direct access to the surrounding area. 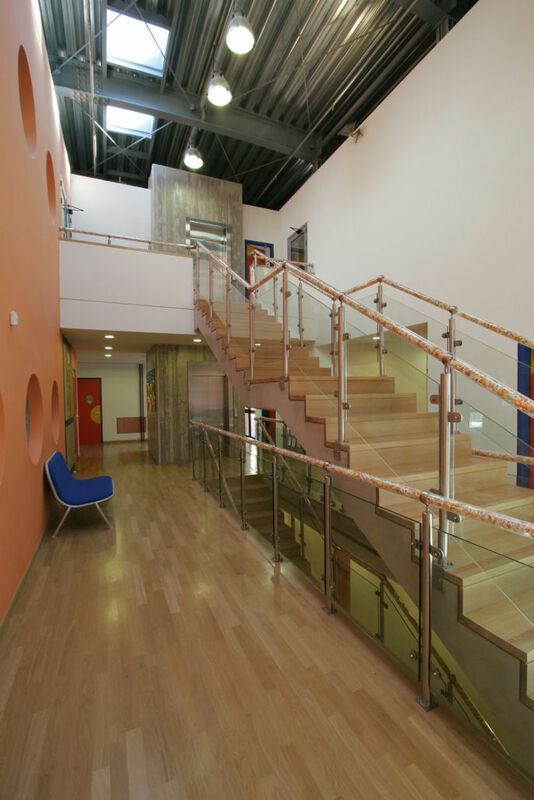 A hall of multiple uses is provided at the centre of the classrooms. It covers an area of about 83 sq.m. and is subject to natural lighting coming from the building roof. 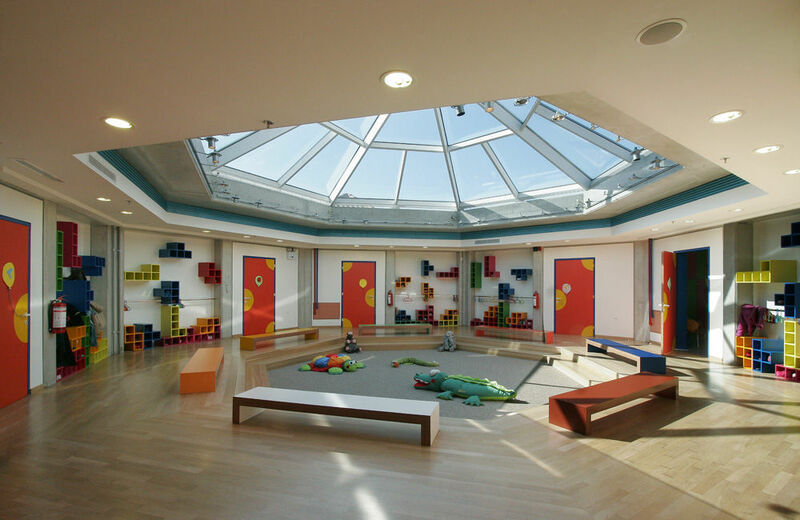 It operates as a meeting point and site of the infants’ common activities. 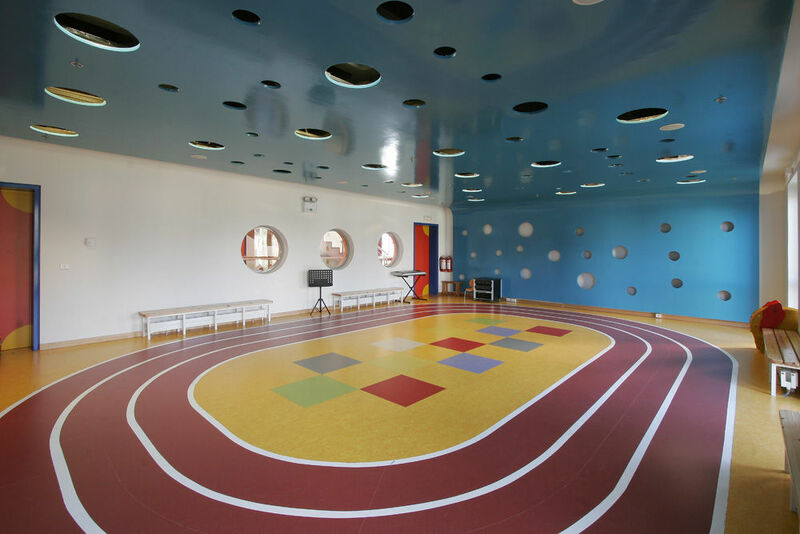 This area is an important feature of the architectural solution and makes it possible to give emphasis to the community of activities among the various classes of infants, which boosts their perception of social behavior. 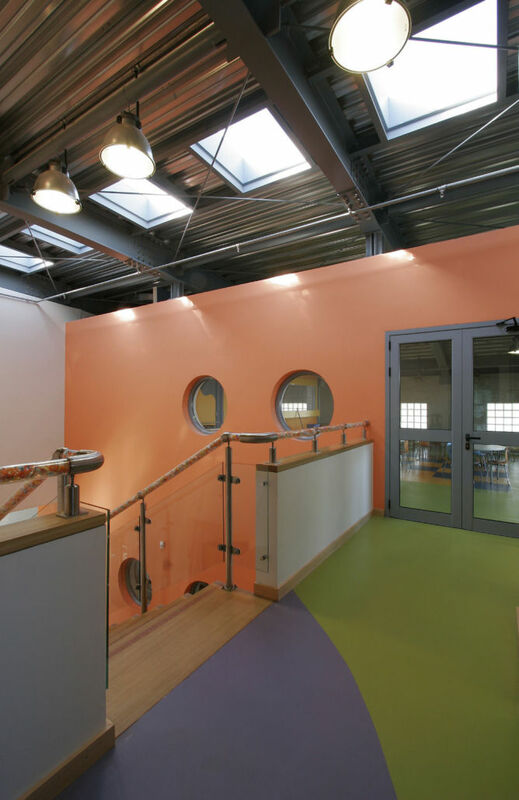 The surrounding area of the nursery school shall be suitably laid out into various levels, depending on the infants’ occupation. Open areas adjacent to the classrooms shall be appropriately arranged to constitute open-air occupation and teaching areas (level 1). The adjoining areas are developed into playgrounds (level 2). Then come the special areas for raising the environmental awareness of the infants (level 3) and the special teaching/occupation areas, such as the open-air theatre etc. (level 4). A through passage of vehicles is provided along the eastern side of the site, with a parking lot for private cars and school buses. Thus, the operation of the Nursery School is safely ensured to be unaffected by vehicular movements.